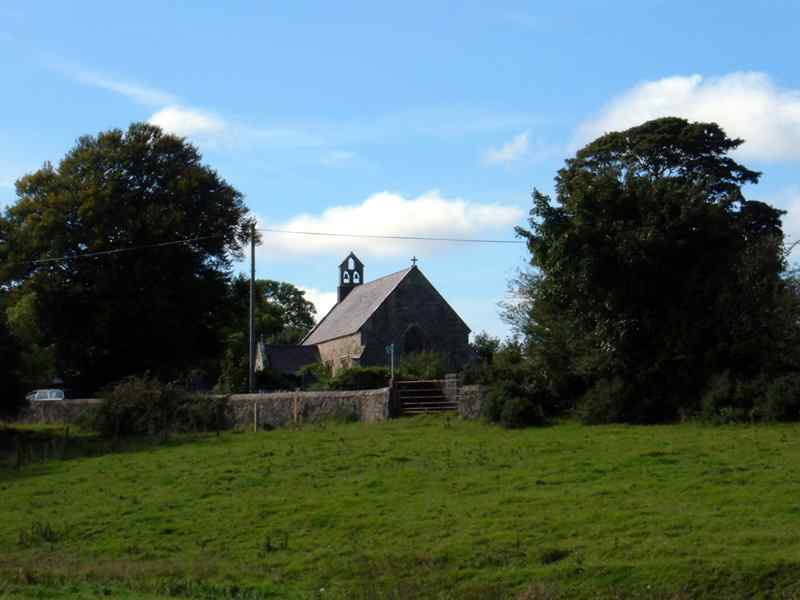 The Village of Bodffordd - Parish of Heneglwys, on Anglesey, North Wales. The village of Bodffordd is in the parish of Heneglwys on the island of Anglesey in North Wales. 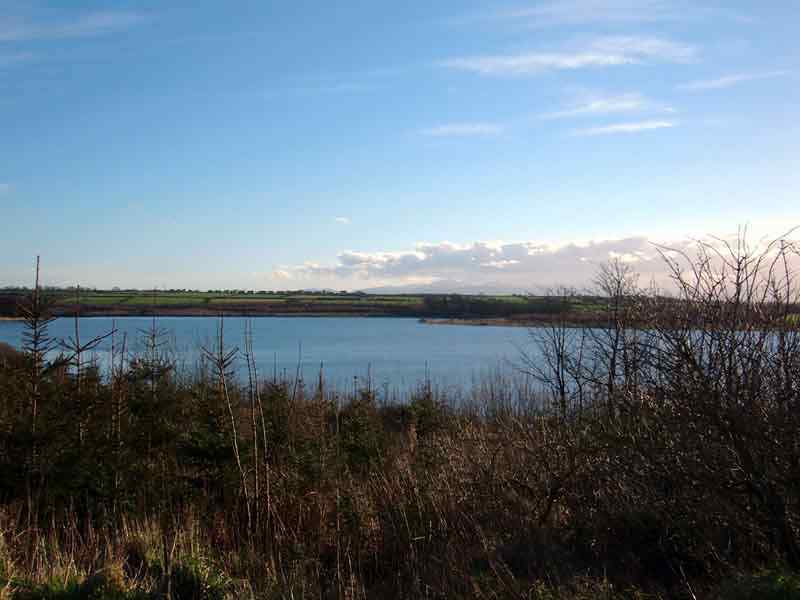 Originally named Bodffordd Esgob (Esgob is welsh for bishop), the land was at one time owned by the Bishop of Bangor. If you want to see larger images just click on any photograph. To see a description of an image just move your cursor over it. Bodffordd is a very small village, essentially rural, and built up around an agricultural background of several larger size farms and an assortment of smaller farms and dwellings. 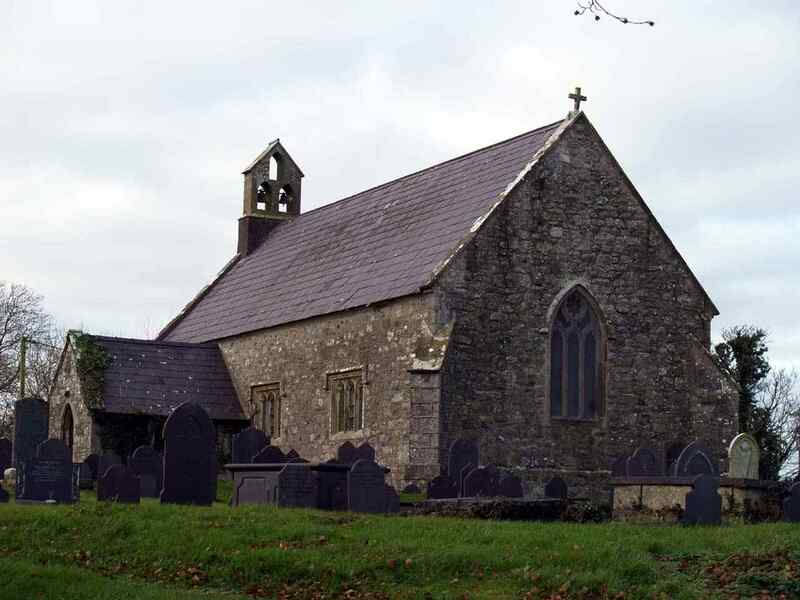 Ecclesiastically, the village consists of a lovely church - St Llwydian's - originally dedicated to Saint Corbre - , and two chapels - Capel Gad, and Capel Sardis. 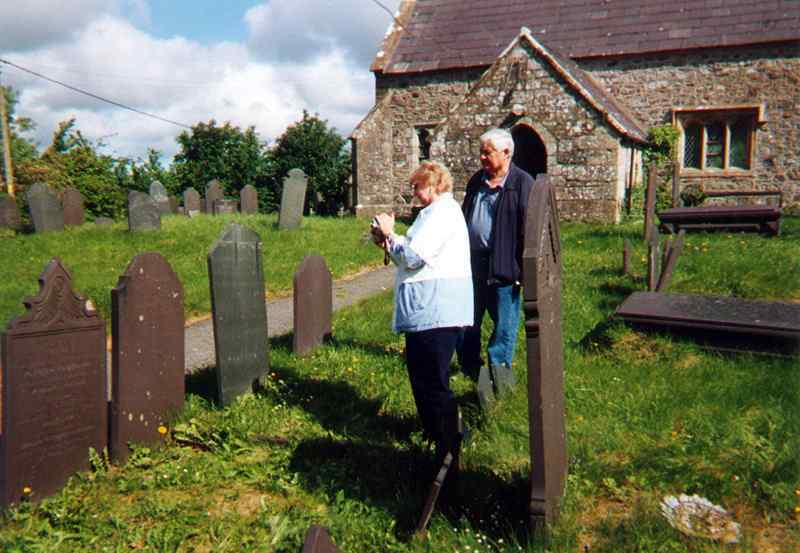 At one time I believe there was another chapel, near the turn off for Llangwyllog, but now demolished. 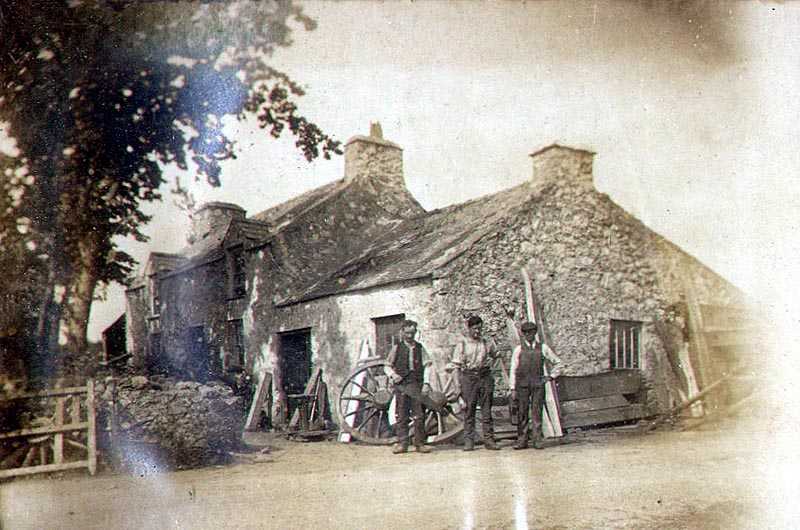 During a period when cattle were driven through the village for sale at Llangefni market, there were at least three inns or public houses, The Farmer's Arms - later to become the Post Office, which closed in 2004. The Royal Oak, now a private house, and another which is totally demolished. 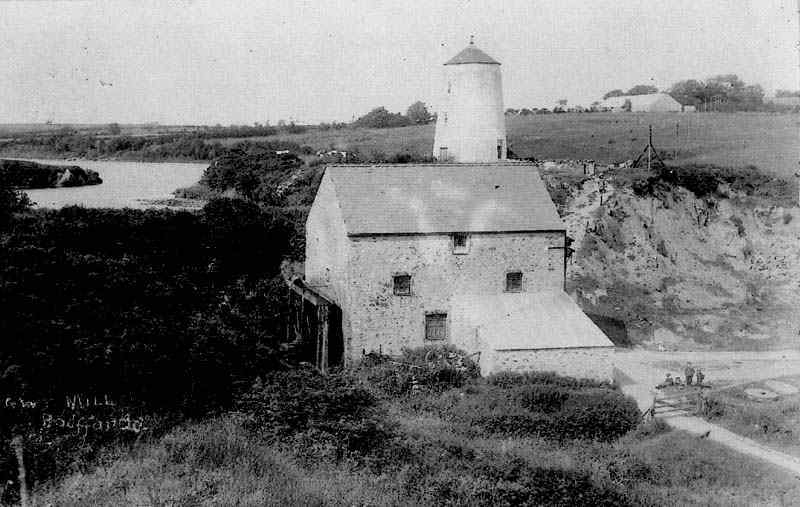 The centre of the village revolved around the activities of the village mill. The corn taken from the fields would be ground into flour and moved on to the bakeries or the wholesalers for selling on. 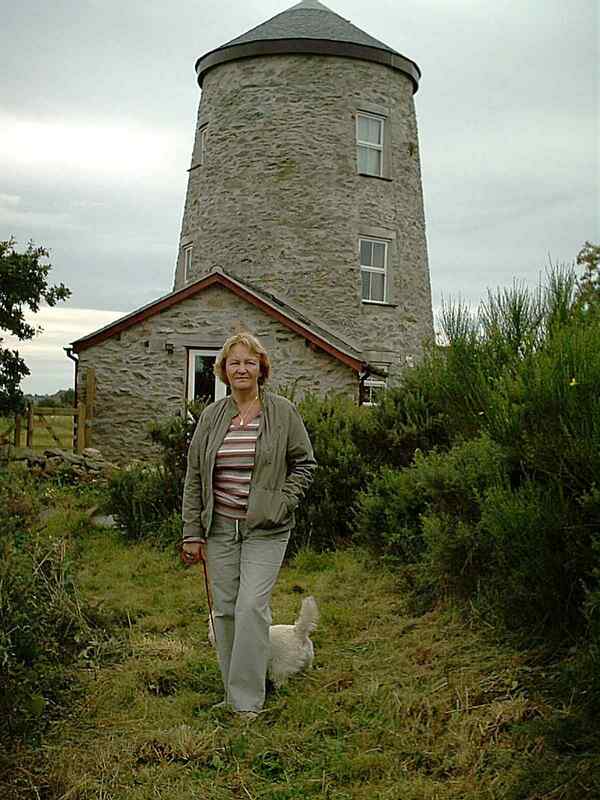 The mill is now privately owned, and the current owner has refurbished the old Windmill as living accommodation. 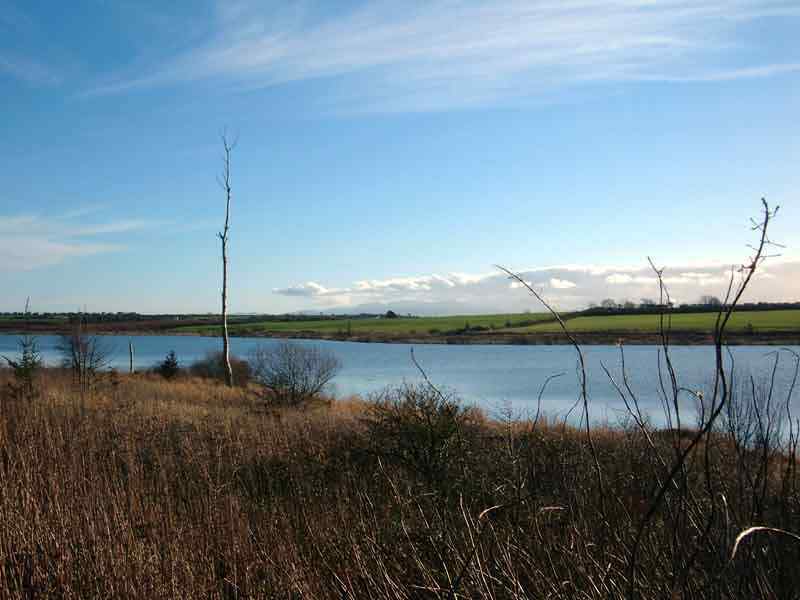 Behind the windmill is a small lake named Llyn (Lake) Frogwy. 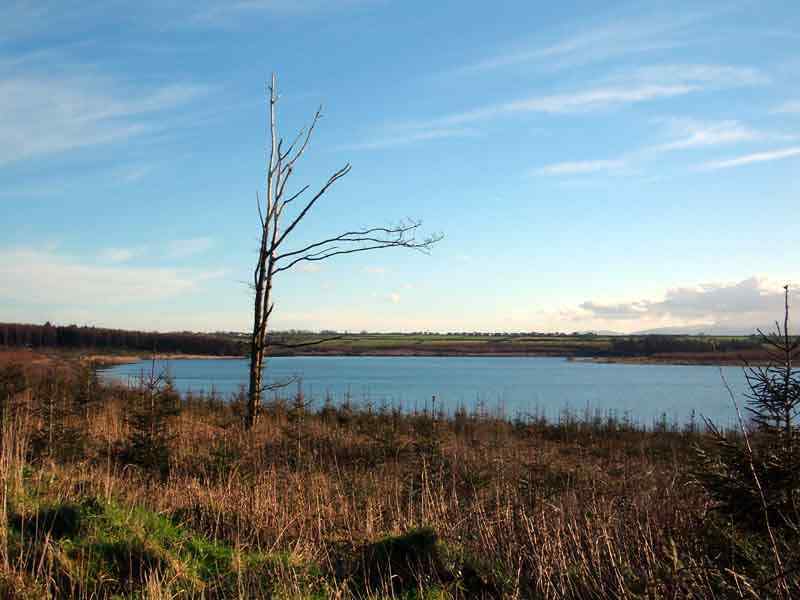 Nearby is a large lake named Llyn Cefni, where villagers and visitors alike go for long walks, taking in the country air beside the man-made lake. A new cycle path that has been laid means that there is a choice of walking on both sides of the lake. There are beautiful views of Snowdonia from the old path. There is also very good fishing in the lake with day tickets available, and a boat may be hired by the day. I have helped several family historians to find their ancestors in Bodffordd, Mike and Charleen Hughes travelled from the U.S.A. to see where Mike's family once lived. They were delighted to have found this trio of family graves in the church grounds. 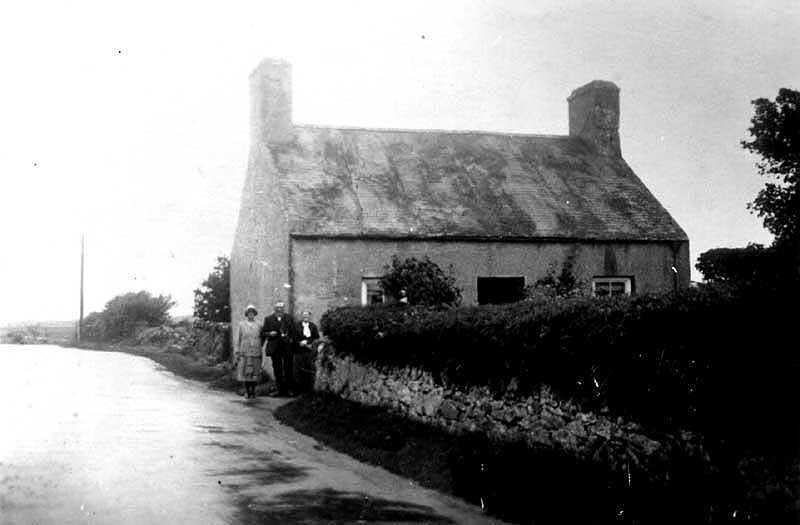 Mike's ancestors ran Bodffordd's first Post Office, which was then at the house now named Afallon. Sadly, I have since heard from Charleen that Mike has passed away. 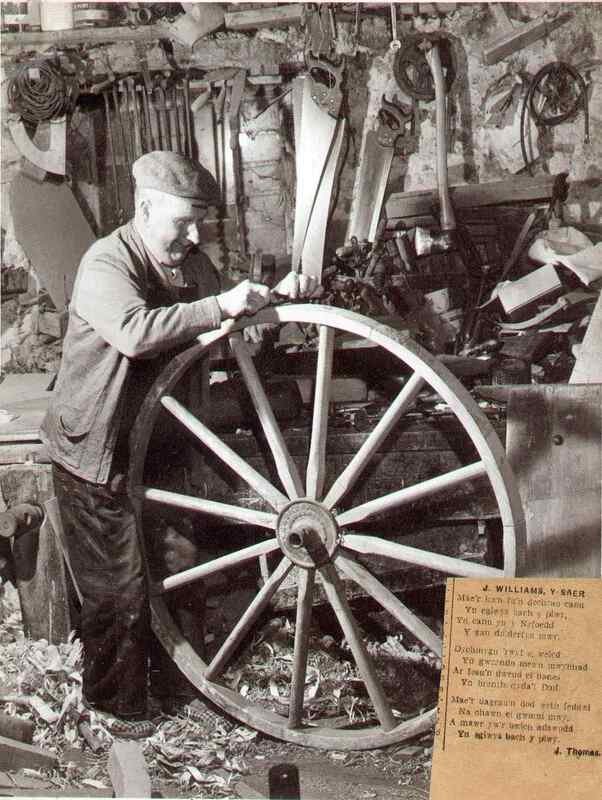 Historically many Bodffordd tradesmen operated from their own homes and workshops. One such family were the Williams brothers, who were father and uncle to Jack Ty Tywyrch - a popular villager. Like Jack, his father and uncle were carpenters, and apart from being builders, they made the coffins for the village. 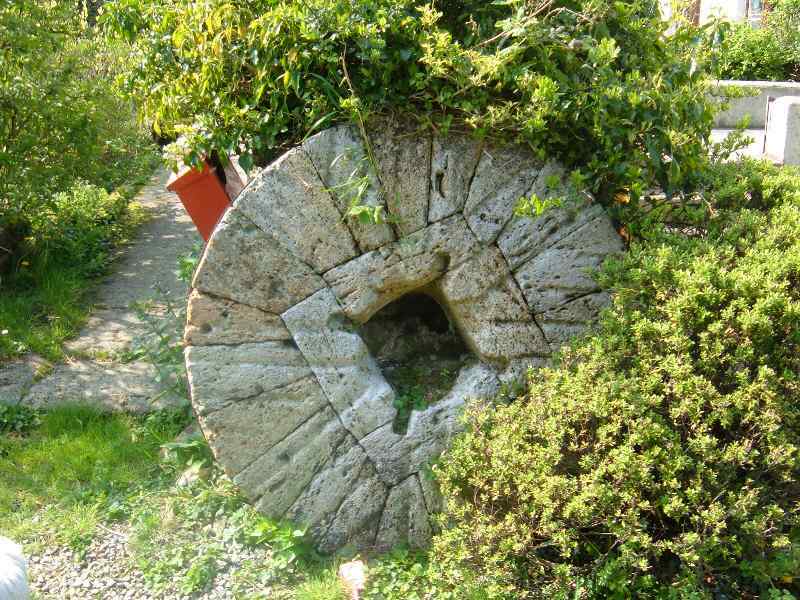 They also made the large wooden wheels for the carts, which they then rolled down to another workshop in the village to have the rim bound in metal. Griffith went away during the great war, and thanks to God returned unarmed. Sadly Jack Ty Tywyrch passed away in September 2005. Many of the small dwellings that housed the village people are now derelict and replaced by more modern houses. In the parish there were two 'Poor Houses', one was named 'Pwros' and the other 'Tyddyn Tlodion' - they still exist today but have been sold by the chuch, and are now private dwellings. The land for these were left to the parishes of Heneglwys and Trewalchmai in the will of William Bold of Tre yr Ddol - dated January 1688. He willed that the rents from the two properties and the land would be equally shared between the poor of the 2 parishes. They are now in private hands, and much improved. Gerry and his wife, the present owners of the poor house (Pwros), have lovingly restored the building, but maintained the original walls and most of the features. Undoubtedly a case of an important local cottage being saved from dereliction. There is a heart rending story of a 2 year old girl named Mary Baw who died at the Poor House in 1847. The entry in the parish register bears the less than sympathetic words - "Irish Vagrant". As for the future of the village, it is to be the site of the 2007 Eisteddfod - a great honour. In addition there are to be some Scandinavian style log cabins built near the Cefni Lake. It will bring much needed new blood, and may even be the catalyst for the village getting a shop and some other amenities. Who knows? Whatever the case Bodffordd has been, is, and hopefully will remain a wonderful place to live.